Next, I configured the default view mode to show the image at a specific size and I set the label to “visually hidden”. Lastly, you must clear the caches for the new route to work. DISCLAIMER: this will not automatically delete the old photo if a user uploads a new one. 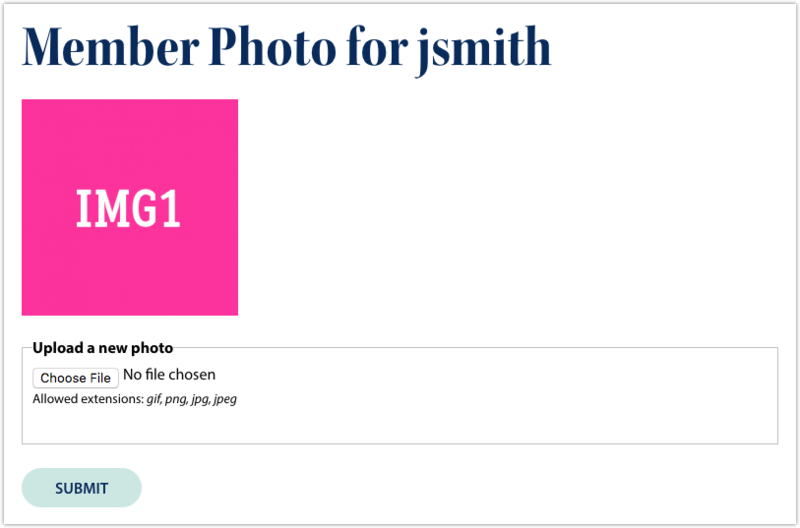 Also, you might consider adding a checkbox or button to delete the current photo. * Returns the title for the form's page.